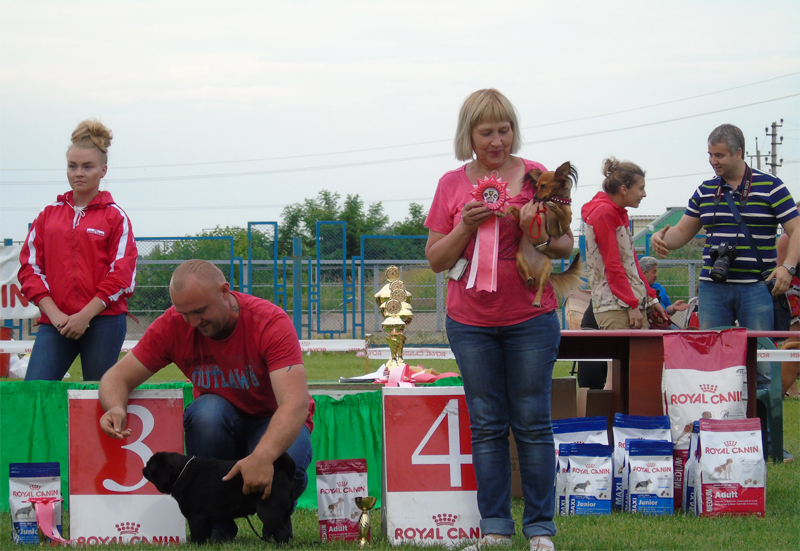 21.05.18 Russian toy puppies are borned 1 male and 4 female Dam JCAC Olivia Golden Queen Sire CH J UA, GR CH J UA, CH UA Pet Stail Leonardo. 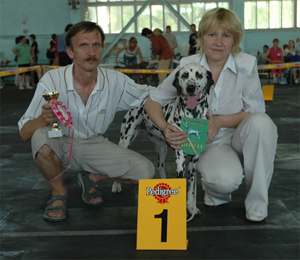 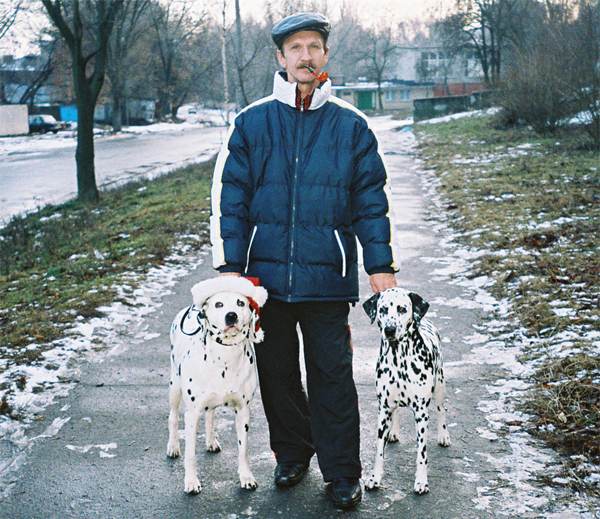 VENDI MISTERI DRIM (Sonya) - the first Dalmatian has appeared at us in 2003, she's in the photo below with Alexandr Kurganovich and her daughter Amaliya Volshebny Mir. 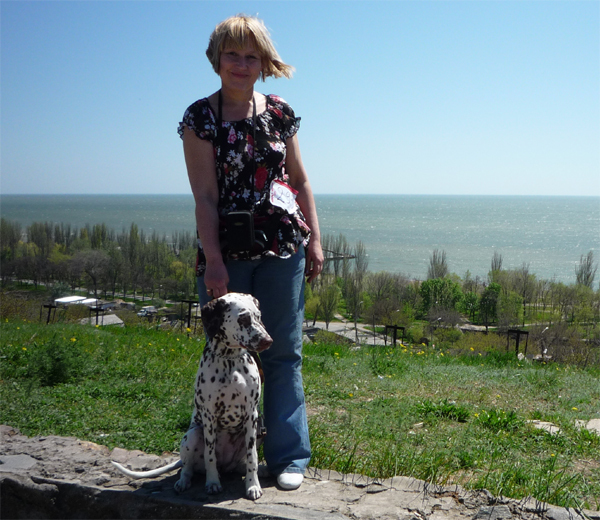 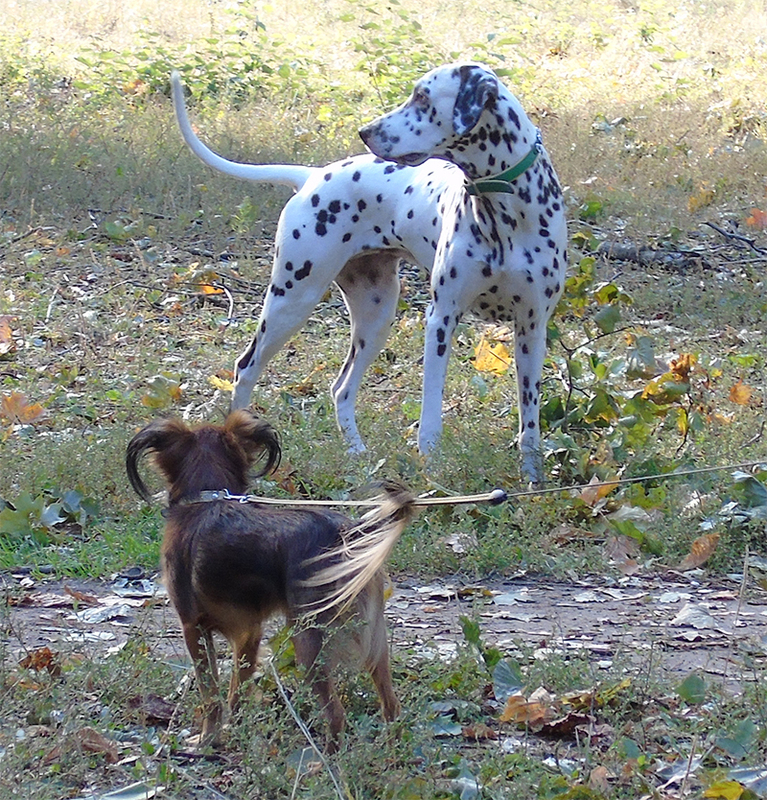 Sonia us acquainted with the beautiful breed Dalmatian. 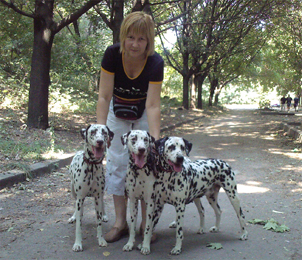 Dalmatian is a universal dog, she is a loving friend of all members of the family, the right guard, as has a well-developed muscles, excellent scent and endurance. 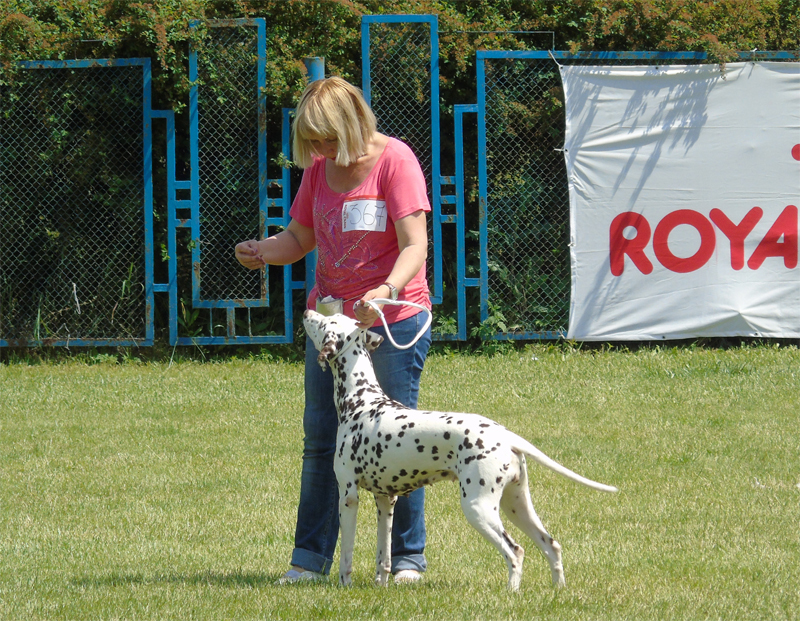 Originally Dalmatian were used for the protection of the coaches of the nobles, and then and coaches carrying valuable cargo. 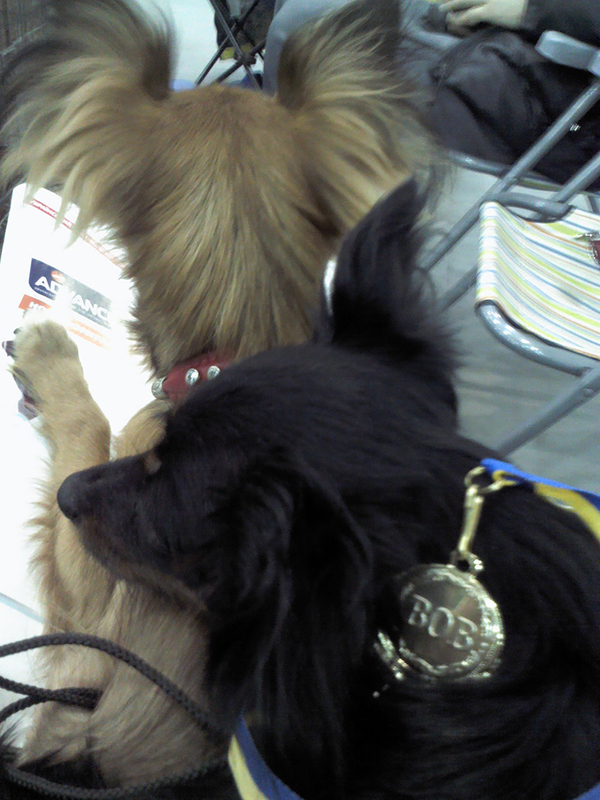 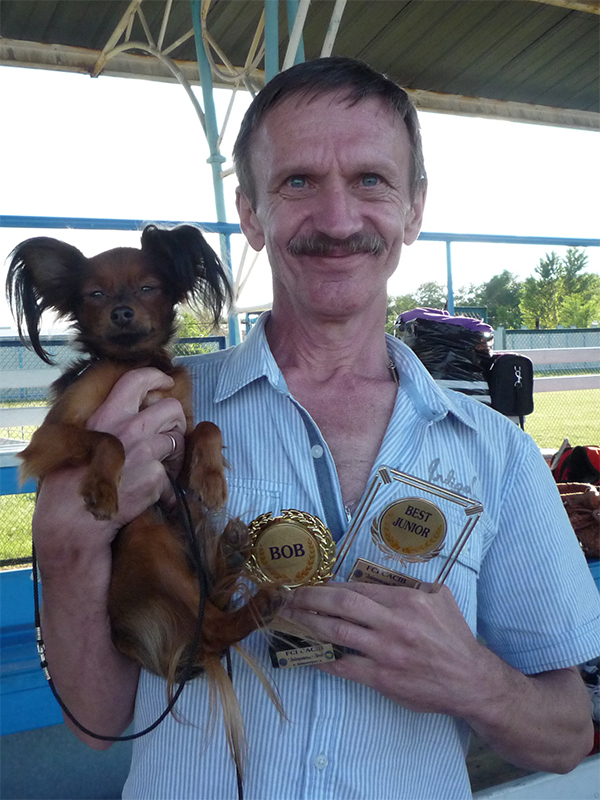 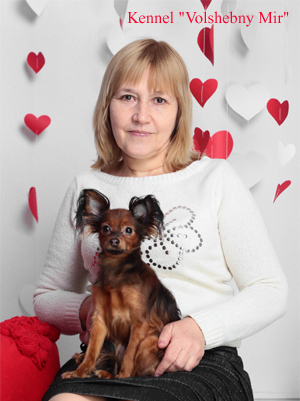 In September 2012 from the kennel Golden Queen (Rivne) we brought long-haired Russian toy Olivia Golden Queen, who conquered us with their charm and tireless energy. 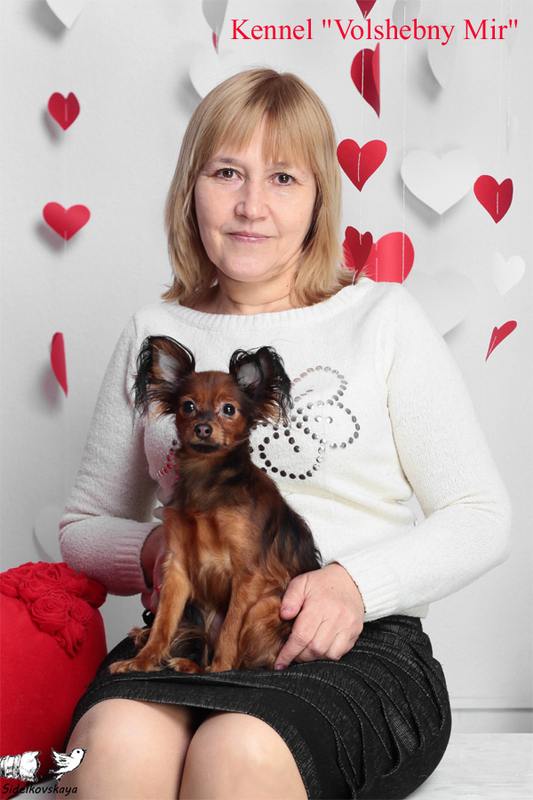 In August of 2013, from the Kennel Pet Stail (Sankt-Petersburg, Russia), we brought a young cavalier, Russian toy (long) red with black Pet Stail Leonardo. 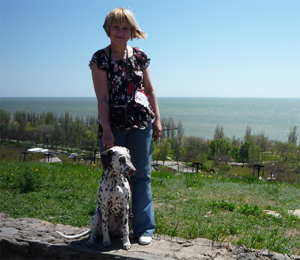 On the left picture on top of Larissa Kurganovich and Junior Grand Champion of Ukraine Pet Stail Leonardo. On the left picture in the center of Alexandr Kurganovich and Junior Grand Champion of Ukraine Pet Stail Leonardo. 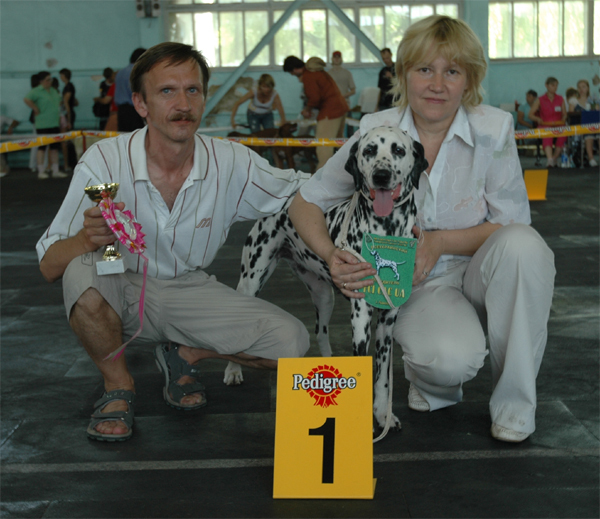 On the left picture on top of Alexandr and Larisa Kurganovich with Grand Champion of Ukraine Amaliya Volshebny Mir, this is the mother of our other dogs. 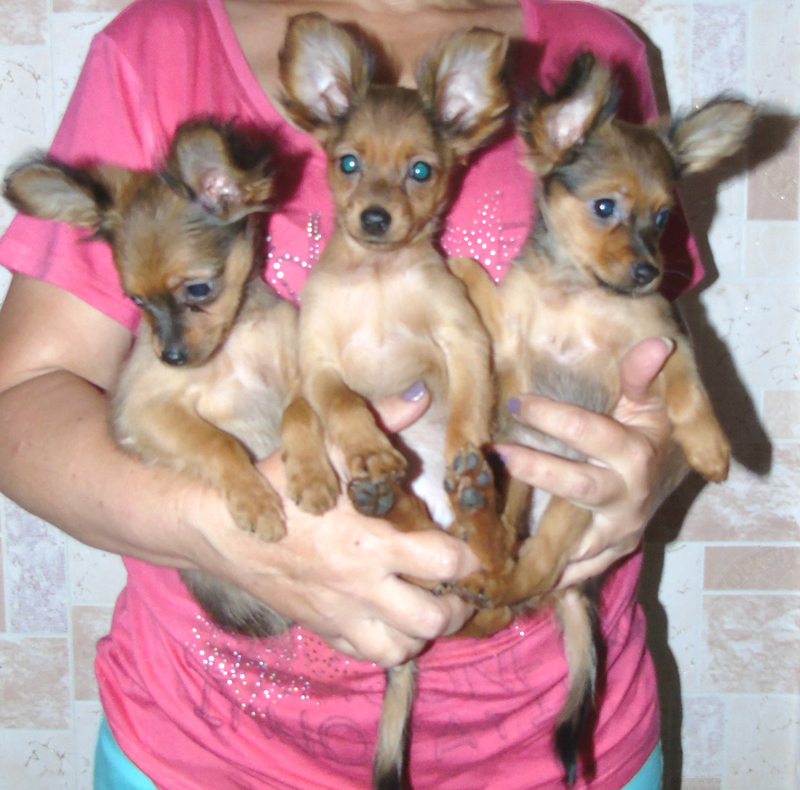 On the right photo in the center of Larisa Kurganovich with Amaliya Volshebny Mir, Super Grand Champion of Ukraine Bellissima Bogema Volshebny Mir and her sister Baronessa Makedonskaya Volshebny Mir. 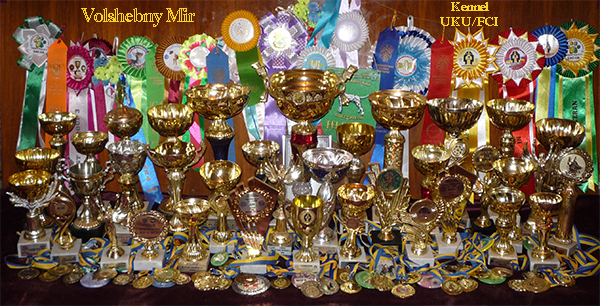 At the bottom right of the photo Larisa Kurganovich with Champion of Ukraine Volshebny Mir Viva Donskaya Krasavitsa. The owner of the Dalmatian & Russian Toy Volshebny Mir Kennel - a professional canine, FCI-Judge Larisa Kurganovich is always ready to provide consultations and assistance on growing, the care and upbringing of dogs. 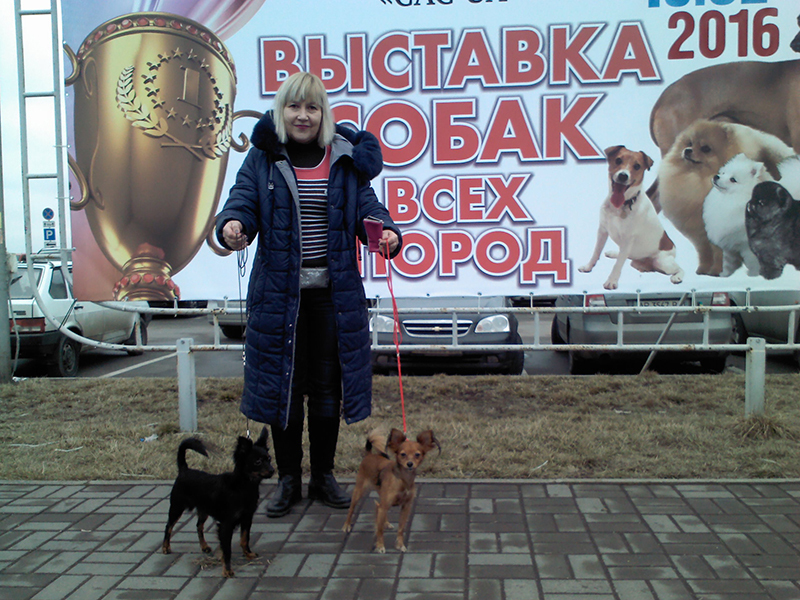 Detailed information on the chronology of the events of the kennel, participation in dog shows, dogs kennel, their titles, and pedigree, and also see the photos of our dogs and graduates of the kennel, articles about the breed you can look at the other pages of the site.